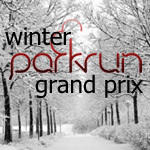 Race Entries Now Open !! 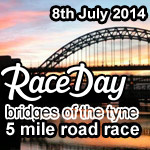 We are very excited to announce that online entries for The Race Day Bridges Of The Tyne 5 Mile Road Race 2014 are now open. This is the 3rd year that Tyne Bridge Harriers have hosted this highly popular race which is now established as a firm favourite in the racing calendar. 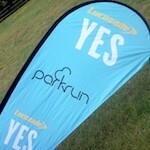 Well done to the 5 gents who represented Tyne Bridge Harriers on Saturday by putting in some solid performances. 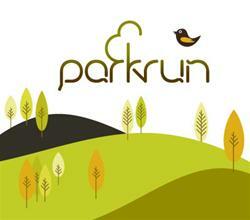 Just a reminder that this Saturday 4th June sees the third race in our series of six Newcastle parkrun GP Series on Newcastle Town Moor.